A set of 5 courses on creating electronic music in the program FL Studio. The total duration is about 15 hours. 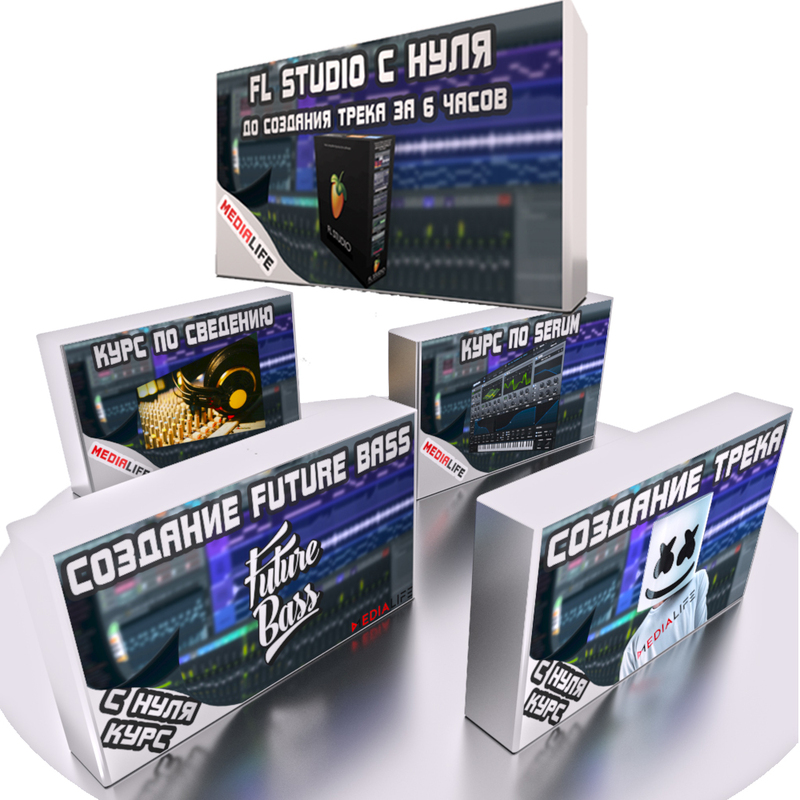 This is the most accessible and most understandable set of video courses on the Internet for creating electronic music in FL Studio (given that one course on the Internet is between 1,000 and 4,000 rubles). The total duration of the courses is more than 870 minutes! In all courses, I explain as much as possible everything I do and try to convey information as clearly as possible. I set minimum prices so that everyone can afford to learn how to create electronic music on a home computer, and those who can pay more, indicated their amount. It is recommended to view the courses from the 1st to the 5th (as numbered above). The minimum price of a set of detailed video courses is listed above, but you can specify any amount that you think is necessary. I would be very grateful if you would evaluate my work for its worth, after all over each of the courses I worked for more than one day and tried to explain all the information as clearly as possible. After payment, you will be asked to download the archive, which contains a mixer template from Medialife, a project created in the course and links to downloading the video of the course. All FL Studio projects correctly open in FL Studio 12 and newer versions. Text documents will be opened by Microsoft Word 2007. If you have any questions or problems with payment, write to medialife.kurs@gmail.com or to the chat in the lower right corner. If not difficult, leave feedback when buying courses. Thank you.